There are literally thousands of security companies in the U.S. 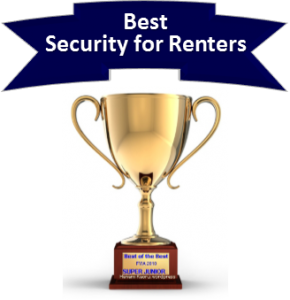 Selecting the best home security company to protect your home and family can prove to be a challenge . If you’ve narrowed it down to LiveWatch Security and Lifeshield Security, we have created a side by side comparison in which we provide side by side comparisons and analysis in 5 major categories. 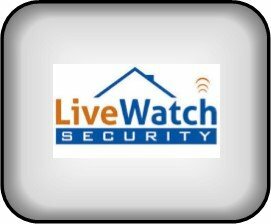 LiveWatch vs Lifehield Security is the latest installment in our Home Security System Prizefight Series where our security company contenders will square off against each other in a side-by-side “Prizefight” comparative review. Each prize fight will include 5 “Rounds” where each of the participants will be judged and ranked on a 5 star rating system for each individual criteria. The scores of each round will be calculated and averaged to decide the overall winner who will reign supreme until the next heavy weight security bout! LiveWatch is based in St. Mary’s, Kansas. Established in 2002, LiveWatch protects over 200,000 homes and families and has an A+ BBB rating. Acquired by Direct TV in 2013, but, originally established in 2004, Lifeshield has a B+ BBB Rating. Founded in 2002 by Chris Johnson, LiveWatch has distinguished itself by offering world class customer service and a very customer centric approach that requires just one year agreement- while still offering significant savings on up front equipment costs. Launched in 2004, made a name for themselves by offering innovative equipment at affordable prices-backed by quality customer service. Since the acquisition by DirecTV, online feedback seems to indicate a decline in the caliber of the customer service, although they still maintain a B+ BBB rating. While both companies enjoy an overall favorable reputation, Lifeshield may have been negatively impacted a bit during the DirecTV acquisition. With an A+ BBB rating and a slightly longer track record, LiveWatch gets the nod in this category. LiveWatch Security takes the first round 5 stars to 4. Unlike the vast majority of the major home security companies LiveWatch Security offers a substantial equipment subsidy with just a one year monitoring agreement. The monthly monitoring fees are significantly lower-with cellular monitoring available for just $19.99! Both companies provide UL Listed, Five Diamond Certified monitoring stations and include fully integrated cellular communication modules.-with their more advanced monitoring packages incorporating “Crash and Smash” technology which will notify the monitoring station even if the system is destroyed. A truly unique feature of all the LiveWatch cellular monitoring packages is the ASAPer which notifies all members on the emergency contact list almost immediately by their choice of phone, SMS or e-mail via an application which enables group alerts and communications. Lifeshield packages some of the equipment costs into the monthly monitoring fees and requires an industry standard 3 year agreement. With the exception of the Security Basics, Lifeshield monitoring includes a combination of landline, fully integrated cellular based communications AND a full time broadband connection to the CMS. This eliminates the possibility of defeating the system by disabling the main unit or cutting a phone line or cable. Incorporating these redundancies will ensure that a signal gets though to the Command Center in the event of an emergency. Both companies offer quality monitoring services by highly regarded Central Stations. LiveWatch offers ASAper and monitoring contract flexibility…Lifeshield includes more equipment in some of their packages. However, LiveWatch has a clear advantage offering the innovative ASAPer alert program and 2 way Voice Assist-with extremely competitive monitoring rates that start at just $19.99 for cellular service! That’s a clear win for LiveWatch 5 stars to 3. LiveWatch shows a strong commitment to providing superior customer service as as their A+ BBB reflects. They offer an industry leading 1 Year Return Policy on monitored systems. However, online forums would seem to indicate that there is room for improvement in tech support on some of the new technology. 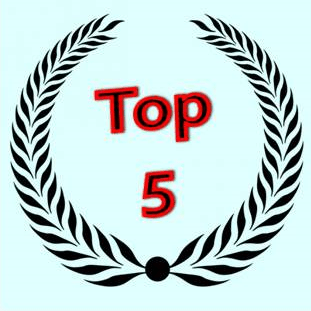 Both companies offer online videos, tutorials and e-books, with outstanding telephone, live chat and e-mail support. Lifeshield was designed from the ground up as an affordable, easy to use, simple to install DIY system In addition, they offer optional professional installation at a reasonable cost in most areas for those who are intimidated by a self-installed system. 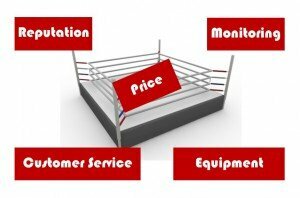 Once again, LiveWatch offers distinct advantages in the field of customer service. They enjoy a higher BBB rating and offer an unbeatable One Year return policy. Score this round LiveWatch 5 stars to 4. The Control Panel that is included in the Plug and Protect Basic is the GE Simon XT, a reliable system used by many security companies. The basic equipment package is just just $99 with a one year agreement, and $19.99 basic monitoring. The Control Panel in their Plug and Play IQ is made by Quolsys. It is a truly exceptional value with the current pricing of just $99 with either Mobile Pro or Total Home monitoring subscriptions. It incorporates the cellular, wi-fi and z-wave communication technologies within a gorgeous 7’ Android touchscreen user interface. This panel will control virtually any home automation feature and will even display current weather conditions and has a built in camera to identify who is disarming the system. The cost of additional sensors are extremely competitive, with door and window sensors starting at just $30 – with Plug and Protect monitored systems carrying a lifetime warranty. The equipment is proprietary and manufactured and produced for Lifeshield Security . It carries a one (1) Year warranty and requires a $99.00 activation fee. Lifeshield Security provides a unique Fire Safety Sensor on all but the Basic Security equipment packages. This sensor is mounted next to existing smoke detectors and alerts the central control panel when an alarm is sounded. Additional components are aggressively priced and more cost effective than most competitors. However, equipment selection is somewhat limited and home automation components are not currently offered. The Base Unit and the Console are separate units, allowing for redundant and independent communication. This makes Lifeshield one of the most secure systems available. Lifeshield equipment is innovative and provides a whole-home fire protection with a unique fire safety sensors which detect alarms from existing smoke detectors. Additionally, they offer 3 layers of protection capability-standard, with independent base station and cellular communicater providing Crash and Smash protection. However, the equipment is proprietary and cannot be monitored by another company, should you decide that you want to switch after satisfying your 3 Year Contract and does not offer home automation capabilities. LiveWatch offers a wide array home automation incorporating Z-Wave capabilities in their Plug and Play IQ program, featuring the Quolsys touchscreen panel. This technologically advanced panel, incorporates Z-Wave home automation capability and virtually every advanced feature available in an extremely attractive package-including sever weather notifications. Their innovative ASAPer rapid alarm resolution, Live Voice Assist and Crash and Smash Protection separate LiveWatch from the competition- and make it the clear winner in this category as well. Score this one LiveWatch 5 stars…Lifeshield 3 stars. LiveWatch offers cellular monitoring packages ranging from $19.95-$39.95-with the latter including full home automation capabilities. Lifeshield ranges from $29.99 to $59.99…but does not offer home automation capabilities. They do, however include more equipment in their packages that add value to certain home security package configurations-especially if one is considering video and surveillance capabilities. However, over the course of a 3 year contract, the overall costs will likely be considerably higher. While Lifeshield offers some unique features and package pricing that may make entry level costs lower in some equipment configurations, LiveWatch wins this round also with significantly lower long term costs, a lifetime warranty, and entry level cellular monitoring pricing that starts as just $19.99! Score this round LiveWatch 4 Stars…Lifeshield 3 stars. Overall, LiveWatch represents one of the best values in the industry. 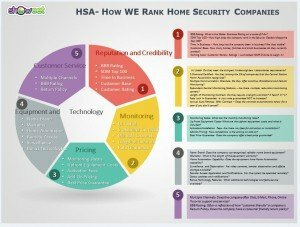 They offer a comprehensive selection of security and home automation equipment, cellular monitoring rates that start at just $19.99, cutting edge equipment and unique monitoring features such as “Crash and Smash” Protection and ASAPer. Thank you for visiting. 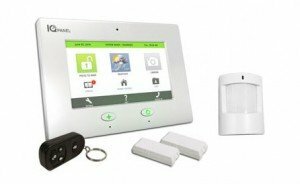 Please feel free to leave your comments and feedback on this LiveWatch vs Lifeshield Security Systems Review 2015 below.